For a quick look at Alchemy in the ‘flesh’, check out the video of Andrew Jones demoing Alchemy in Shanghai – also on YouTube. Along with developing the software itself, the project aims to become involved hands on in workshops, talks, and exercises focused on experimental drawing. Alchemy has been featured in the May 2010 issue of German design magazine, ‘Page’. 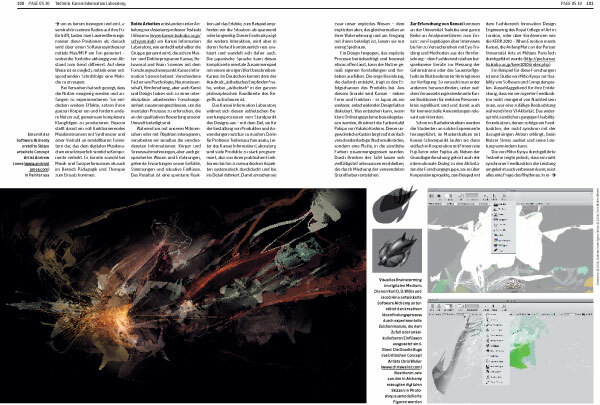 A big thank you to Bianca Beuttel for compiling the article, and to Andrew Jones and Chris Waller for contributing artwork.